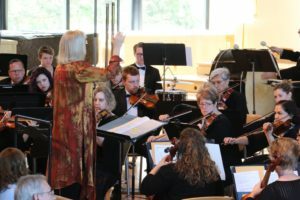 Being a part of the Wayzata Symphony Orchestra is an enviable position. The level of musicianship, the obvious camaraderie, and the pure fun the musicians have on stage is palpable. And having a conductor with the professionalism and talent of Marlene Pauley makes the package complete. Rehearsals are held on Sunday afternoons from 1:00 – 3:30 and select Thursday evenings from 7:00 – 9:30 at Wayzata Community Church. No rehearsals are held in December, or between May and August. Please submit the application at the bottom of this page to get started. Our personnel manager, Courtney Semke, will contact you to discuss the audition process and possibly schedule an audition. 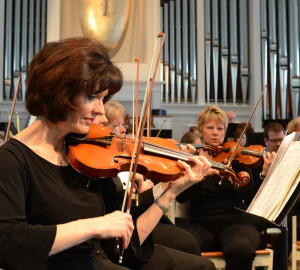 Auditions are held throughout the year with the music director and appropriate member(s) of the orchestra. Please fill out the form below to apply for WSO membership. We respect your privacy. Your personal information will never be used for any other purpose. Thank you!